FOLLOWING an early morning disturbance today (Monday 21 October) in Newcastle, police are investigating an incident in the Burrendale Park Road area. 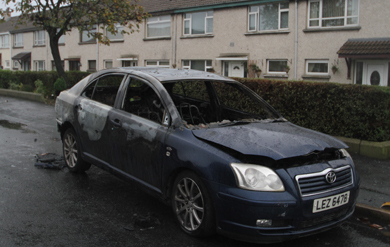 A dark blue Toyota Avensis burned out with windows smashed lies in Burrendale Park Close after the early morning row. Shortly after 3am it was reported that an altercation took place between a number of people in the area. Two cars in the area were also damaged during the incident, one burned out. Four men aged 24, 26, 28 and 39 have been arrested and are currently in custody assisting police with their enquiries. 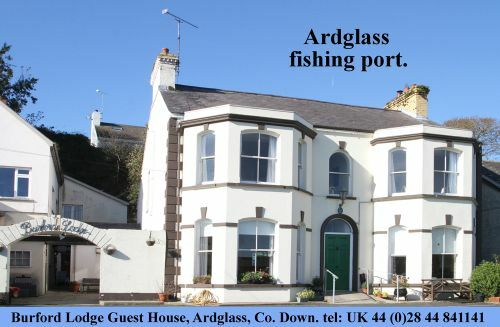 It is understood that a car load of men may have arrived from a neighbouring estate and fighting began using clubs etc. Newcastle Councillor Willie Clarke has condemned the violence of those disturbance. He said: “The elements involved have no place in the district and I call on them to cease these incidents immediately. “I want to explicitly condemn all and any individuals who were involved in the altercation that took place here on Monday morning. I have talked to local residents who were awoken in the early hours to the scenes of violence and mayhem which took place. There is a sense of shock and disbelief in the estate and people are extremely unhappy that this type of behaviour has taken place on their doorstep. “This area is home to a number of families and it is important that these people feel safe in their own homes. We have a car burnt out, within yards of an innocent residents front door, and windows smashed in a block of flats which also contain a number of law abiding people. This is simply unacceptable. “It is my understanding that a number of people have been arrested following the incident and this is to be welcomed. It is important that these people face the full rigours in the law in order to stop this from occurring again.